Artificial intelligence (AI) is creating a stir across a swathe of industries - from banking to construction; telecom to travel; financial services to education; and insurance to professional services and beyond. Businesses in these sectors are grappling with a fundamental question though: how much of a promise that AI holds will translate into real benefits for them? The possibilities of AI are startling and many (people navigating in self-driven cars, robots serving dinner or drone taxis obeying voice commands, for a sample), but few have seen the light of day as yet. Still, the potential is too obvious to be missed. “So far, we’ve seen only 5% of what AI can do,” writes Therese Poletti in MarketWatch, quoting a senior technology executive, which indicates it’s still early days in terms of its application in various areas ranging from robots to chatbots to autonomous cars, even if AI innovations may seem ubiquitous and an integral part of our lives. Today virtual personal assistants are everywhere, and customers find it handy when Alphabet throws up its search responses, Facebook serves up the newsfeed, Amazon sends across tailored shopping recommendations, or Netflix digs up content based on user habits. This has got people excited. A McKinsey Global Institute research suggests tech giants, venture capitalists and private equity firms across the globe are pouring in investments in AI. “Last year (2017), AI investment in North America ranged from $15 billion to $23 billion, Asia (mainly China) was $8 billion to $12 billion, and Europe lagged at $3 billion to $4 billion,” notes a Wharton web post. “But despite the level of investment, actual business adoption of AI remains limited, even among firms that know its capabilities,” the same article mentions. If 40% of the firms surveyed in the McKinsey study are thinking about it, 40% are experimenting with it and only 20% actually are adopting AI in a few areas. The reasons are not far to seek. Given the noise that surrounds it, people genuinely want to know what they can accomplish with AI; how much of this hype would make business sense in terms of return on investment; and how best to confront the challenges that hinder its adoption. At its most basic, AI is about providing machines the intelligence to accomplish certain tasks without explicit programming. Using complex algorithms, computers could be taught to self-learn to be able to solve problems, analyze statistics, scan information, recognize text, speech or images and make predictions based on historical or known patterns of data. 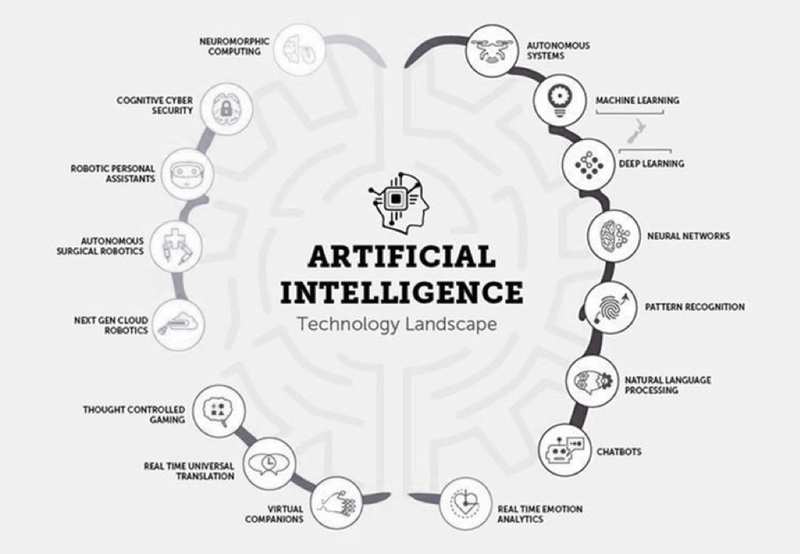 In real terms, nonetheless, advancements in AI have been in specific areas such as natural language understanding, speech recognition and image recognition, where its impact is perceptible and measurable - a fact borne out by the rising popularity of intelligent virtual agents (IVAs)/chatbots for specific consumer needs. A recent study by Drift has confirmed that consumer behavior is changing, and the way people search and buy products or services has fundamentally shifted with 66% preferring real-time messaging for talking to businesses over any other communication channel. Across every size, sector, and nearly every industry, real-time conversations are becoming important to drive engagement. While online chat traditionally relied on humans to do the communicating, the dynamic has started to change as chatbots can simulate how humans communicate using machine learning and natural language processing (NLP), and more specifically, automatically improve with experience. 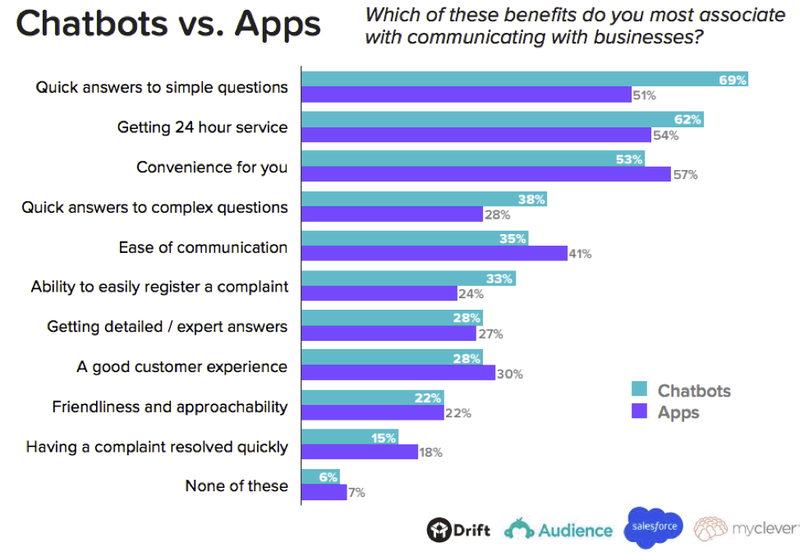 In an age when speed and ease of communication is highly valued, chatbots have been found to be 35% better at answering both quick, and complex questions than applications, per the State of Chatbots 2018 research, jointly done by MyClever, Drift, Salesforce, and SurveyMonkey Audience. This is a real differentiator in the on-demand, real-time world, where everything seems to be just one click away. “Consumers expect to be able to find the information they’re looking for quickly and easily. When they can’t, they get frustrated, and could end up turning to competitors who are providing the type of online experience they’re looking for. The most common frustrations reported by consumers included websites being hard to navigate (34%), not being able to get answers to simple questions (31%), and basic details about a business — like address, hours of operations, and phone number — being hard to find (28%),” the report says. This signals that the adoption of chatbots, even if it’s in infancy, has caught on with end consumers and that could be a real big differentiator for companies adopting it. 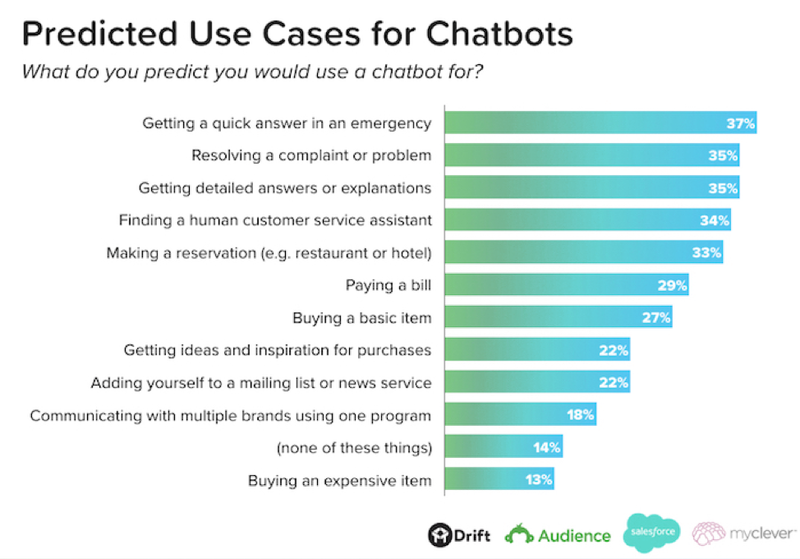 Most common use cases where consumers wanted chatbots include: getting quick answers to questions in an emergency (37%), resolving a complaint or problem (35%), and getting detailed answers or explanations (35%). 34% of consumers predicted that they’d use chatbots as a means for getting connected with a human. “Consumers want to be able to use chatbots to surface information and get answers quickly and easily. And if a chatbot doesn’t have all the answers, consumers would like that chatbot to be able to connect them with a human,” observes the report. Chatbots could be applied in cases where a huge customer base needs to be served and cannot be managed by teams of agents. This includes businesses that are primarily agent-driven where human intelligence is required, and involves understanding the intricacies of industry jargon, like say insurance, banks or financial services. A case in point being buying an insurance policy, where most of the times users would have minimum understanding of the entire policy structure with only bits and pieces details being grasped or assimilated. Chatbots can guide users with better guidance and intelligence in the course of policy issuing, get answers to specific questions from FAQs, fill forms in an interactive manner, remind them about premium due dates and assist in claims settlement. In case of investments too, operating an online trading account involves a lot of intricacies and risks associated that are not known immediately to the user; that’s where chatbots come in handy. AI-powered bots are shifting the contours of machine to human interactions by making conversational experience more natural and seamless. Kore.ai helps you optimize your digital strategy with its enterprise-grade bots platform for building and customizing intelligent bots that can be integrated with multiple channels, ensuring users a great experience. This blog is written by Karthick Viswanathan, Vice President-Products, Kore.ai.